I’ve found that the position of the spine is one area that a lot of amateurs struggle with. Even if they’re told they need to stop slumping, or they need to straighten their upper back, they often lack the body awareness to do it. It’s easy to feel what it’s like to flex your knees a bit more, but it’s not as easy to feel what it’s like to flatten out your lower back a bit more. 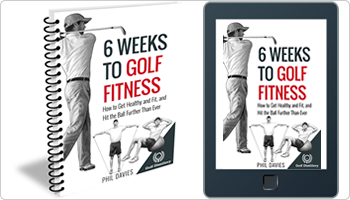 Once you know what a flat back and good spine angle feels like, the other elements of good golf posture (such as knee flex and the position of the head) are easy to add on. This posture drill will help you get a feel for a correct spine position. 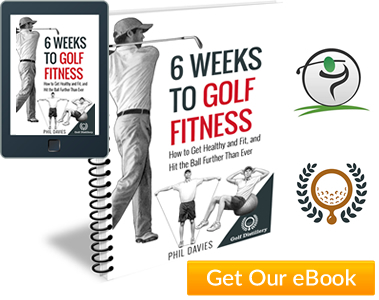 Once you can comfortably maintain that over the ball, the other postural refinements (like knee flex) are easy. 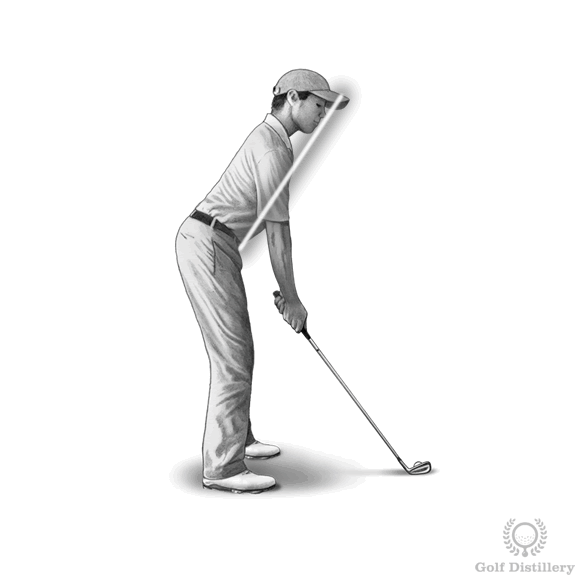 Bend forward from the hips making sure the club doesn’t leave any of the 3 contact points (see Photo #2). If you bend your lower back or slump your shoulders (bend your upper back), the club will move away from those contact points. Don’t let your nose or chin slide down the club either – they should stay fixed on the club at one point.